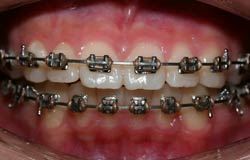 Your dentist will refer you to a dentist who specialises in braces ‘Orthodontist’, or you can refer yourself. At the first appointment, the Orthodontist will discuss with you what you would like to achieve from the orthodontic treatment. You will have an oral assessment, x-rays and moulds taken of your teeth.